Did you know that more than 30,000 websites are hacked on an average per day? This happens because many website owners are not concerned about the safety of their websites and leave them vulnerable for the hackers to exploit. Each day we are greeted with at least one news of a big brand being hacked. Quite recently some of the bigger players in the industry have been hacked that includes Uber, Bitcoin agencies, banks, credit reporting agencies, etc. In fact, even government websites have been under attacks. It does not matter what kind of a site you have, it can still get hacked even if you feel you have no important data on the site. Hackers hack for various reasons, and these days the reason seems to be to use a website to mine cryptocurrencies. This means all the websites are vulnerable. Therefore, it is of vital importance to keep your website well secured. Let’s have a look at the 3 simple tips to keep your website secure in 2018. Scripts are open source programs designed to help developers customize them as per their needs. However, there is a drawback to that. Hackers are always looking for outdated scripts because it is very easy to break into the security of such websites due to security loopholes. One of the most vulnerable scripts to date is the one which is tied to websites built on WordPress. They are easy to hack which is why you need to keep searching for newer updates on a timely basis to avoid getting your website hacked. Just like we keep our homes safe by installing alarms, locks and safety systems, we need to do the same with our websites. Countless threats are roaming around on the web. We must protect our sites against such threats. The first line of defense that you can place is a security firewall. It’s a program that helps ward off malicious threats that can do a great deal of damage to your website and change the way it functions. Buying a premium firewall program will help keep brute force attacks, injections attempt, cross-site scripting and many other means of hackings at bay. Also, you should do this when you design your website so that it is secure before it goes live. 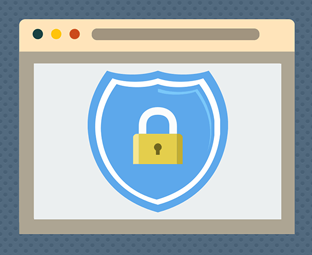 Agencies like WSI promise secure websites by taking all precautionary measures at the designing stage. This reduces the risk and protects your site against attacks. HTTPS is a communication protocol that aids in moving sensitive data from a website to a web serves and vice versa. During this transference, there is room for the data to fall into the wrong hands if the website isn’t transferred to HTTPS protocol. HTTPS protocol enhances security by adding a security measure in the form of a layer (TLS - Transport Layer Security), or there’s another type of security as well (SSL - Secure Sockets Layer). Both of these layers ensure that the data which is being transferred stays encrypted and secure. The security of your website needs attention, or you can lose all you’ve built within seconds. 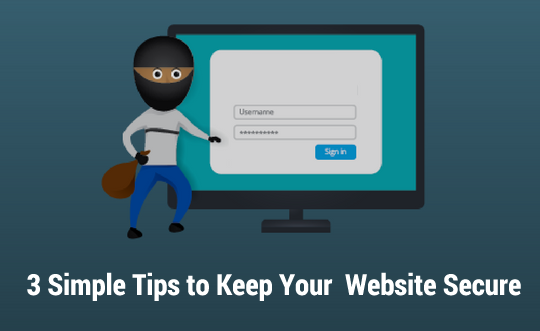 Make sure to adhere to these tips so that you can secure your website.